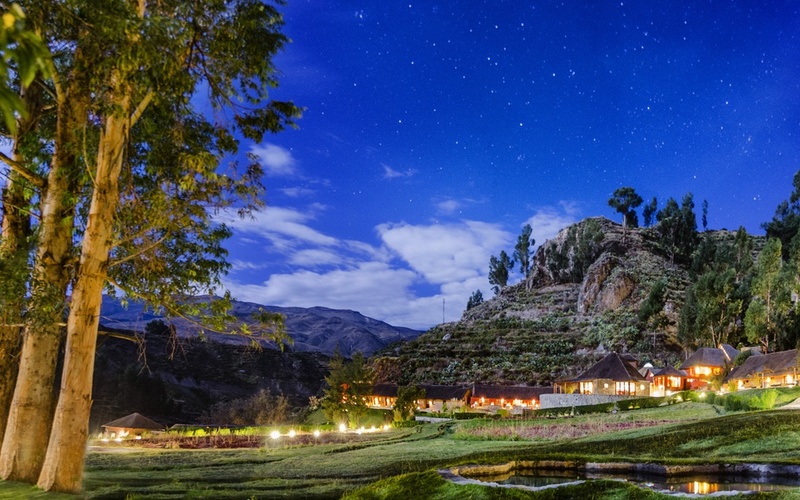 Colca Lodge is located on the banks of the River Colca, near Peru's Colca Canyon. 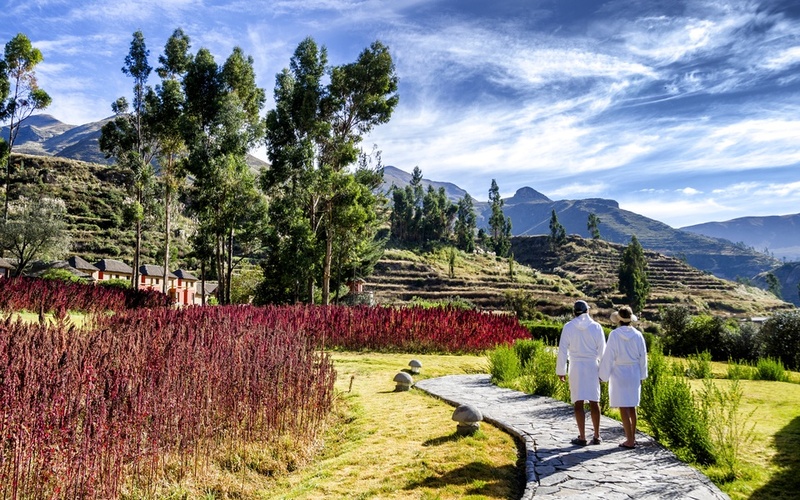 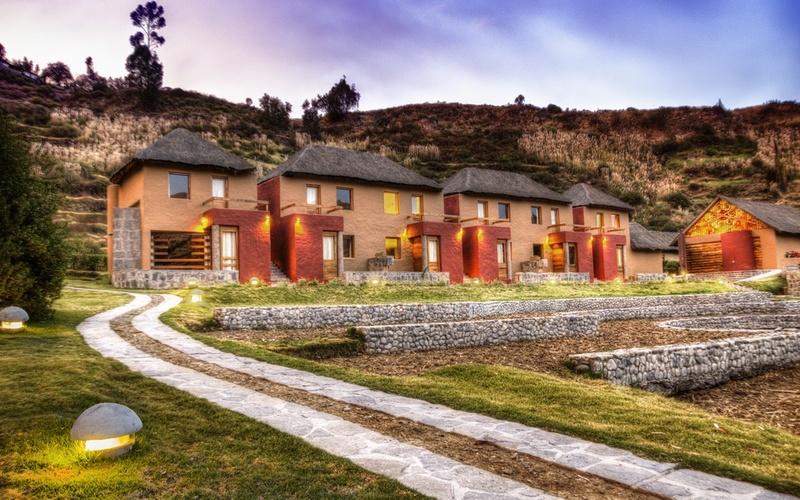 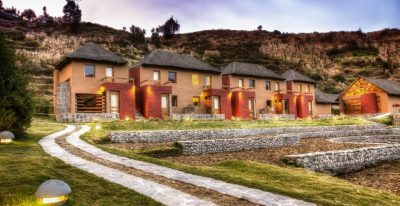 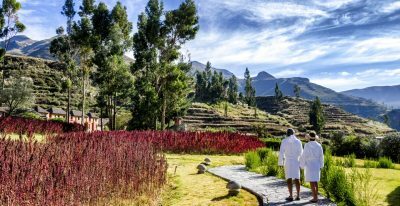 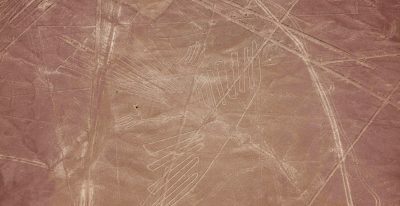 It is surrounded by pre-Incan agricultural terraces and sits near a natural hot spring, around which the lodge has created an eco-spa powered by solar panels and the springs' geothermic energy. 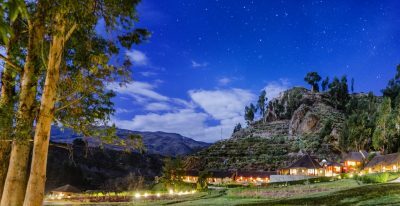 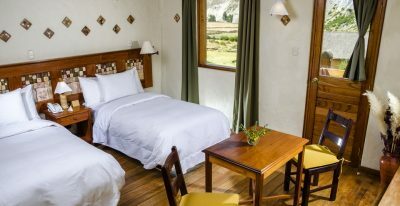 The 45-room hotel has a rustic style, with thatches roofs and adobe walls, and most of the rooms have small terraces overlooking the Andean countryside. 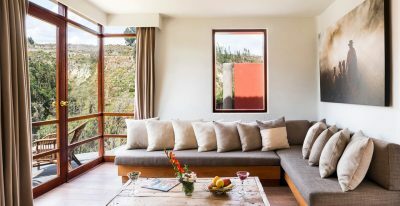 Amenities include three restaurants and two bars, lush grounds with gardens and courtyards, spa, and access to the thermal pools. 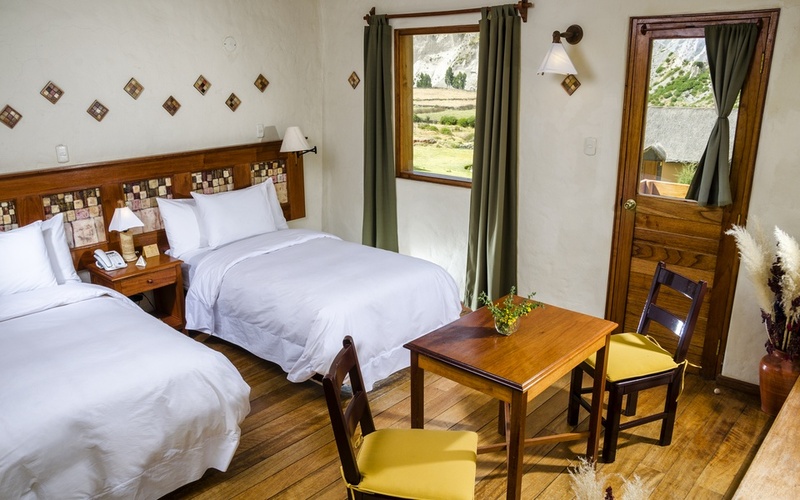 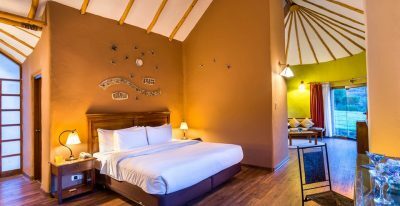 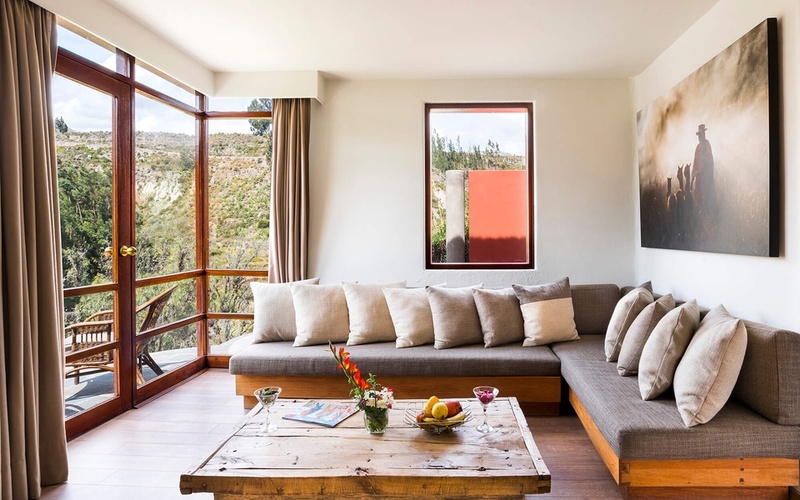 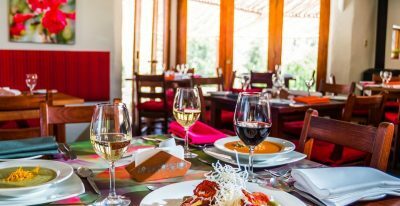 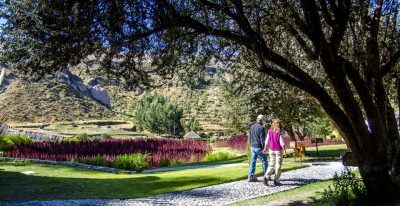 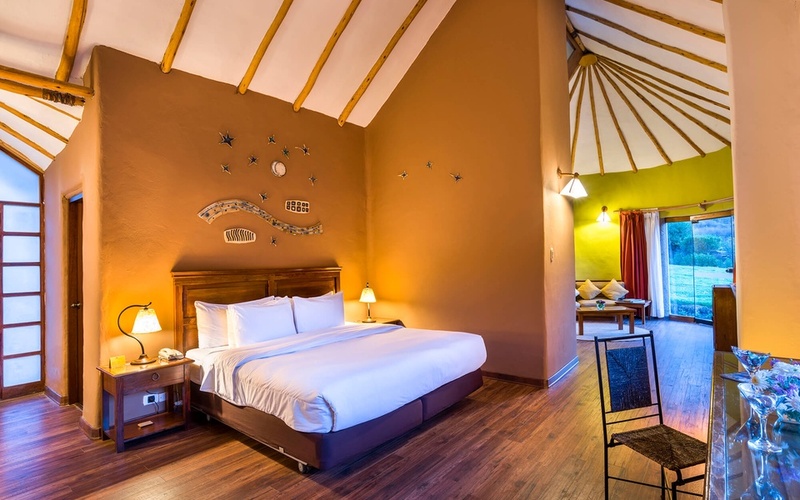 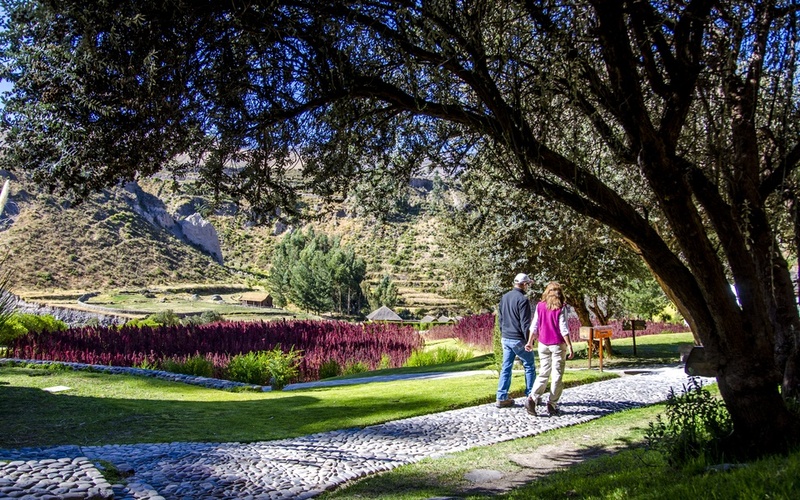 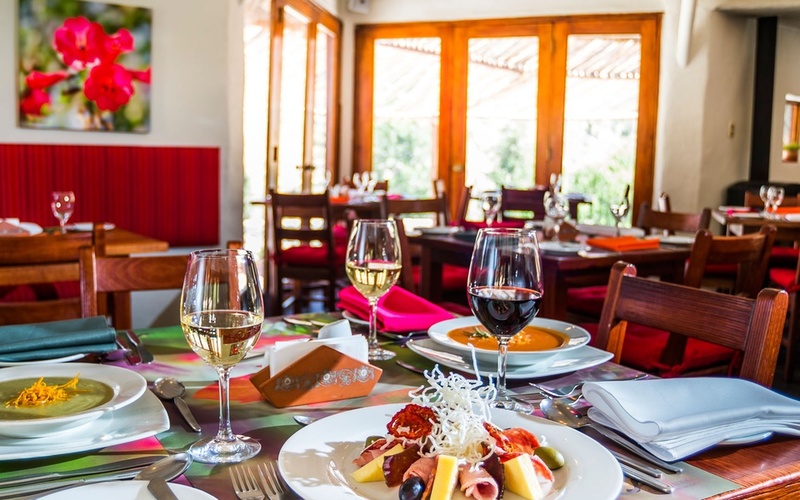 Colca Lodge is ideally situated for activities around the Colca Canyon area, including hiking, excursions to nearby ruins and colonial settlements, horseback riding, and mountain biking.